When Jesus was asked to sum up everything into one command, He said we are to love God with everything we have. And then He added that we are to love our neighbors as ourselves. Instead of turning this simple idea into a nice saying, what would happen if every follower of Jesus took the Great Commandment literally? Is it possible that the solution to our society’s biggest issues has been right under our noses for the past two thousand years? Join Vineyard Cincinnati in this 6-week, all-church journey exploring how can we can put into practice one of the Great Commandments of loving our neighbors as ourselves. The cross. It hangs from necklaces and adorns church buildings. How did a device of Roman torture become the symbol of hope and freedom for millions? What really happened on the cross of Jesus and why was it necessary? Each week we’ll explore a key word that will help us all understand and appreciate the crucifixion and resurrection of Jesus better than ever. 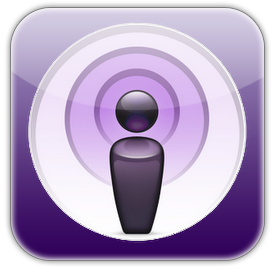 Add the weekend teaching podcast to iTunes.